“And he ran before, and climbed up into a sycomore tree to see Him: for He was to pass that way“ (Lk 19:4). Many people run their spiritual race without any aim or target, but Zacchaeus ran along the very route Jesus was to take. 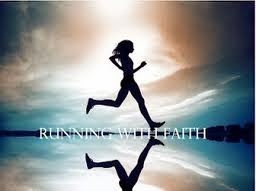 Dear child of God, you may be running this spiritual race, but are you running along the road Jesus is taking? That alone can help you to meet Him and see Him face to face. The word ‘Zacchaeus’ means ‘white’ or ‘purity.’ Jesus takes the road to Zion and New Jerusalem, the road to the Holiest of Holiest. So dear reader, if you do not love holiness, you cannot go His way. ”Blessed are the pure in heart: for they shall see God” (Matt 5:8).